Fire Safety and Prevention week this year is October 5-11. 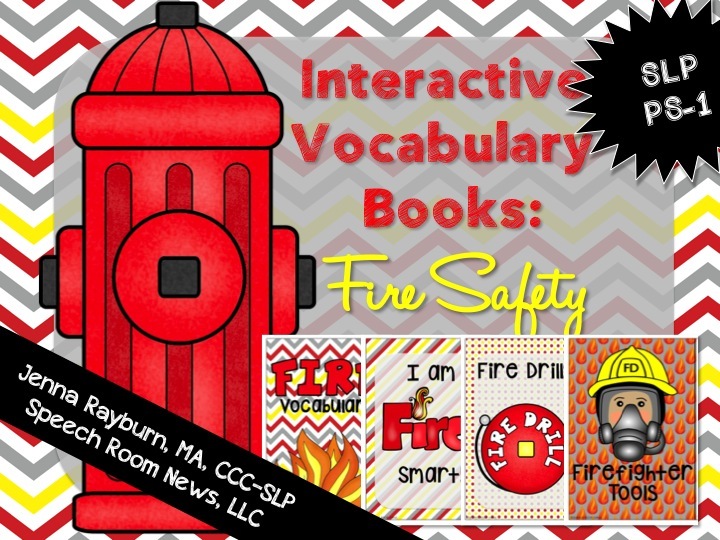 If you’re prepping for a fire week make sure you check out my new interactive books! These books are really great for minimally verbal students. They can show their knowledge without needing to verbally produce answers, just match. 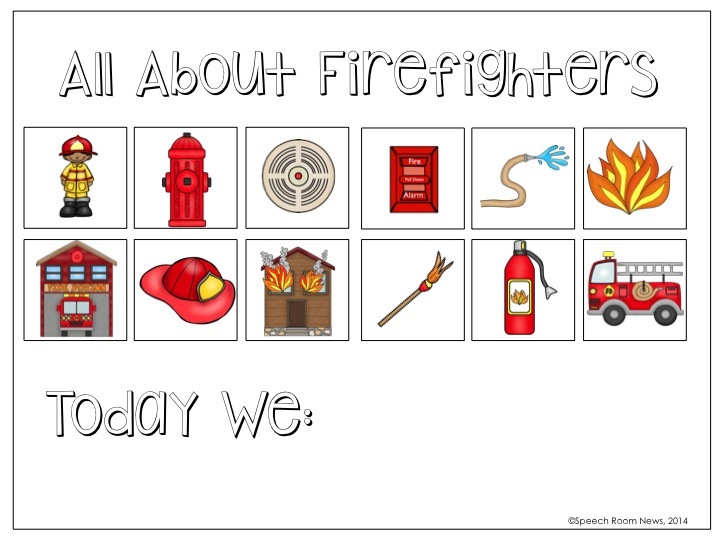 For kids just learning to express themselves in single words or simple phrases, pictures support that level of speech. If students are communicating in sentences they can make up their own language to describe the picture/scene. Interactive books give little hands something to do. They also have a very clear ending. The kids can see if they get the 12 pictures done they are finished with this activity. I can work on many additional goals (verbs, pronouns, functions, attributes, etc.) while targeting this activity. This meets the curriculum vocabulary for my preschool programs during the first month of school. Each page includes a HOMEWORK sheet to send home. It lists the vocabulary and leaves room for the SLP or teacher to write in what specifically the student worked on. The download is 36 pages in length. 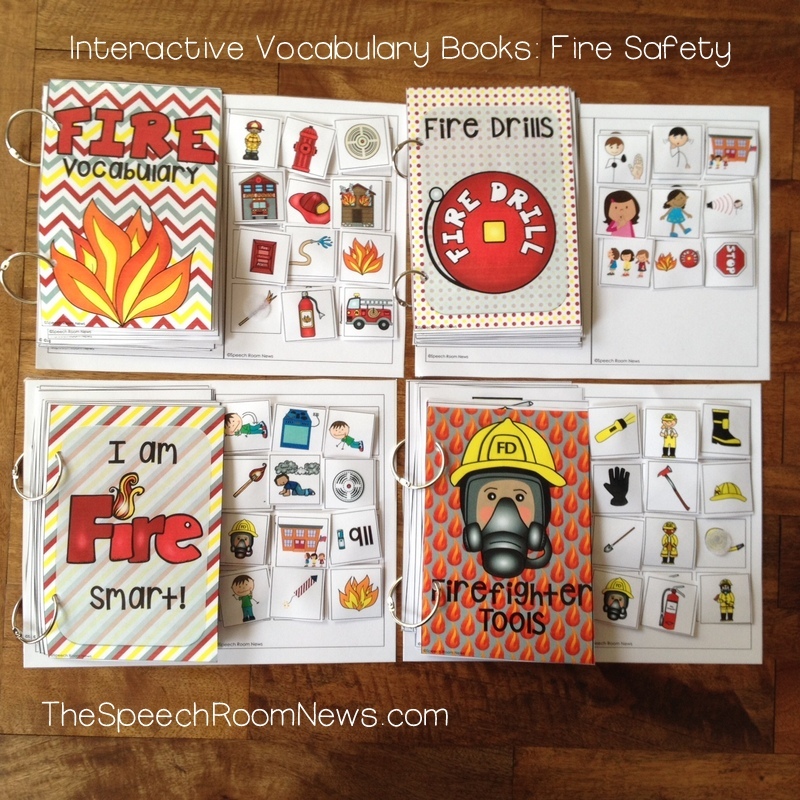 You can grab the set of Interactive Fire Safety Books in my TpT shop!